St. Philip Neri in the 1500s started the tradition of visiting 7 church altars in one night and since then people have been following this faithful tradition of watching and waiting with Christ the night before his passion. 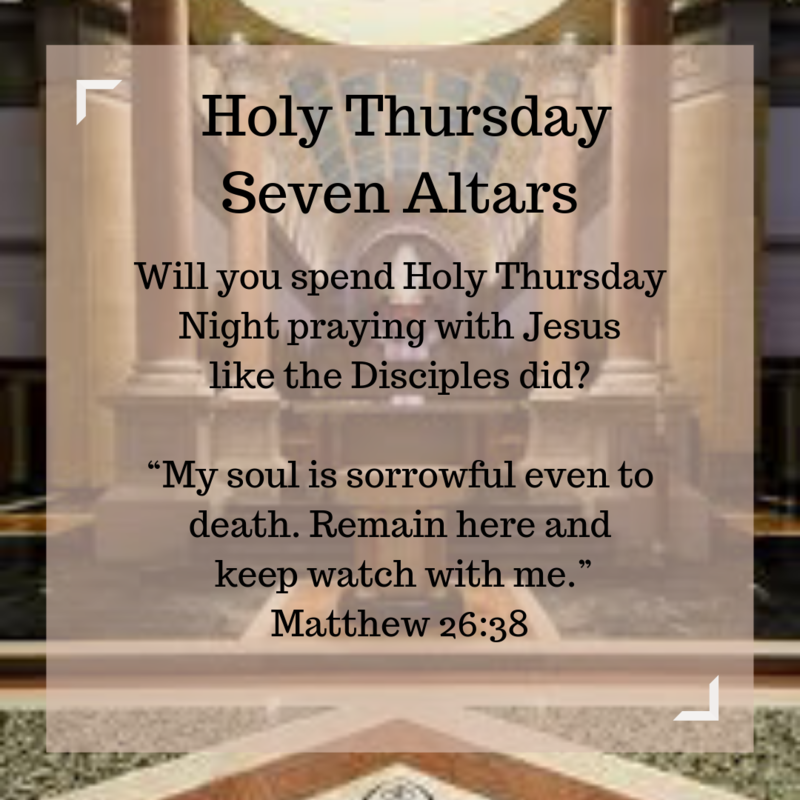 So join us and the St Therese of Carmel Young Adult Group as we visit seven different churches on Holy Thursday night to continue this tradition. We will provide 7 different reflections as we go to the different church altars provided by Justin Combs.